© Prabir Sen. All rights reserved. 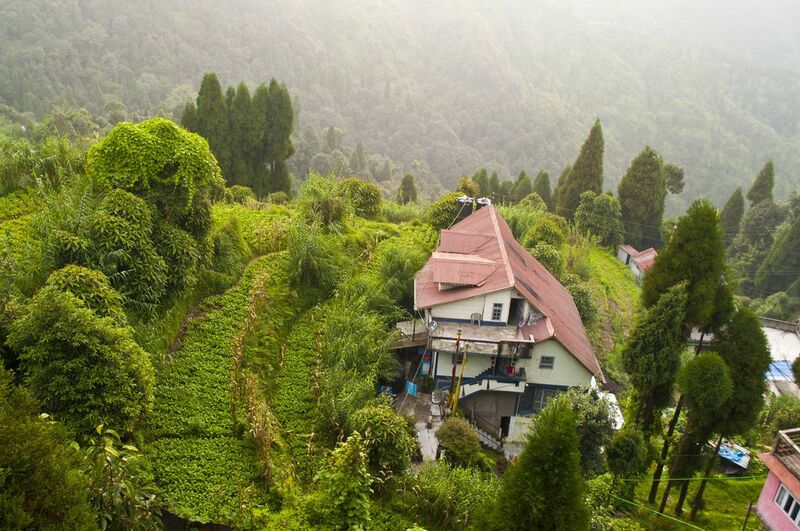 The awesome beauty of nature in Darjeeling - It was a restaurant in Batasia, about 5 km from the main Darjeeling town. Looking out a window in this restaurant, I found this awesome view with tea gardens surrounding the small cottage .. Date Uploaded: Nov. 20, 2012, 3:27 a.m.